Two hundred and fifty years ago the people of America were subject to an unrepresentative government controlled by powerful commercial interests. They rebelled and formed their own government, which has now come to be controlled by powerful commercial interests. Once again, "these are the times that try men's souls." What lessons can we learn from history to help us through this crisis? The secret "committees" of the colonial legislatures and "councils of safety" allowed the rebels to unify together in defeating the British Redcoats and their German mercenaries. Much like the inability of U.S. today, with the most powerful military in the world and its "coalitions of the willing," to crush foreign insurgencies, the English army and navy were unable to stop the colonists' drive for self governance. With the Constitutional Convention of 1787 that created our present constitution and government, Congress may have replaced the local committees that once represented the people; however, the independent spirit of the American Revolution lives on in today's Tea Party and Occupy movements in communities across the country. The unifying battle cry for the colonists was "no taxation without representation." American voters must come to a similar agreement about what is most important to us, if we are to successfully take control of our own government. Protect our freedoms! By now, every American is surely aware their "government" is recording their phone calls, copying their emails, photographing their postal mail and conducting secret searches at will, all in the name of the War on Terrorism and the War on Drugs. 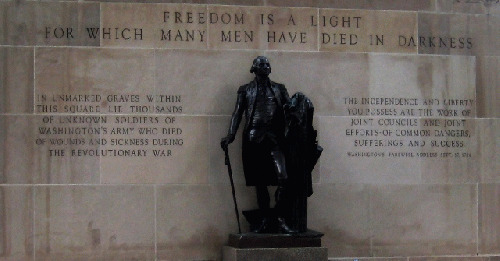 Our government must protect, rather than destroy our freedoms. Our rights, freedoms, and livelihoods are once again in grave danger, as we confront another "American Crisis." This time, however, revolution is not the solution. Nothing worth having can be achieved at the point of a gun and the overwhelming firepower of our government will crush any uprising, along with any remaining freedoms. We have learned that violence begets violence, and our commonsense tells us to avoid its brutality. Instead, we must use our freedom and the tools on our digital workbench to nonviolently come together and take control of our government before it is too late.